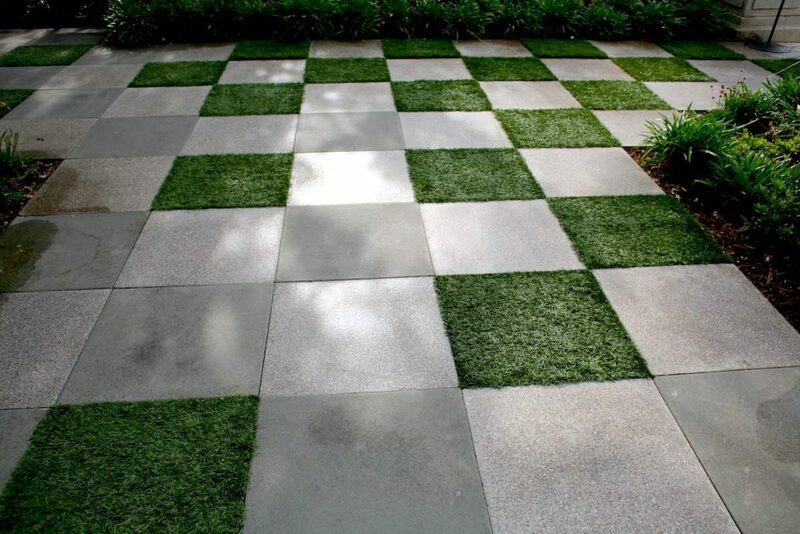 Artificial turf can be used as permeable gaps between pavers to create a striking effect. Play with geometry. Break paver continuity the stylish way with artificial turf installation. Whether you are installing paver in the pool area or in the backyard patio, you can adopt this creative idea. You can even use the checkerboard pattern. Since artificial turf can be cut in varying styles, you can as well experiment in designs, shapes, and sizes. Create a visual pattern or a design statement – diagonals, straight lines, random shapes. Choose from the different turf styles to accommodate your budget and specific needs. Turn your paver project into a work of art with artificial turf installation. The fake grass with a realistic look and feel, far from its look when it was first introduced to the public.